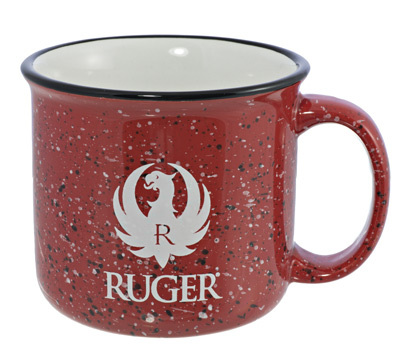 Ruger branded 13 ounce ceramic campfire mug with a slightly flared top for easier drinking and less spills. Made by Repco. I have a few of these, keeps coffee hot and and the color doesnt fade. It is hard to find a mug like this. I am glad I got several.